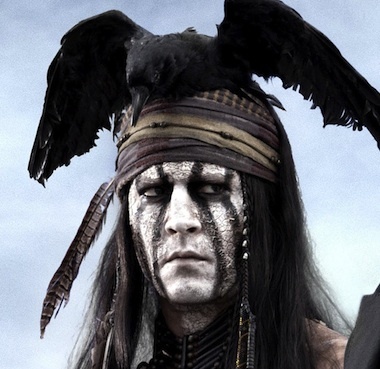 Johnny Depp’s Inspiration for Tonto Was an Old, Nicotine-Addicted Woman? Spring Breakers‘ $5 million, 6th place weekend box office spot isn’t exactly a loss. The hypersexualized movie, directed by Kids co-writer Harmony Korine, only cost $2 million to make. 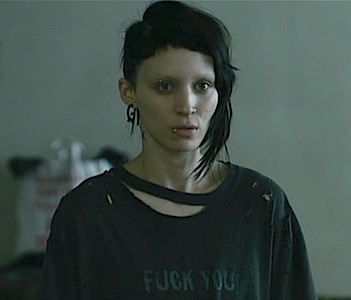 Fans of the American remake of The Girl With The Dragon Tattoo directed by David Fincher and starring a wonderfully transformed Rooney Mara who are expecting a sequel may be out of luck. 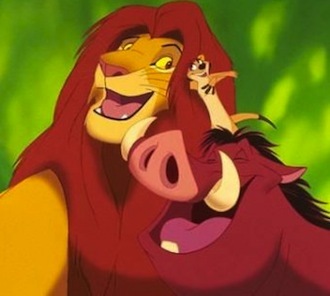 On its generous budget of $100 million (the equally great Swedish version cost $13 million and brought in over $100 million), GWTDT suffered a modest loss, according to MGM. 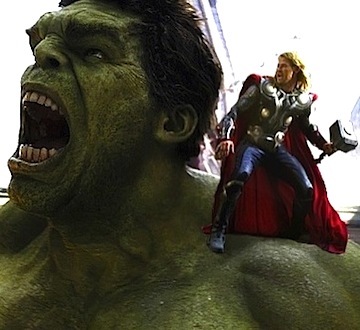 The Avengers brought in a record-breaking $200 million dollars over the weekend, shooting past The Hunger Games, The Dark Knight, Twilight to knock Harry Potter And The Deathly Hallows Part 2 (with $169 million) from the top spot. So far it’s dominating only the biggest opening weekend movie list though at this rate it could compete with films on the domestic and worldwide gross lists that Avatar currently conquers. 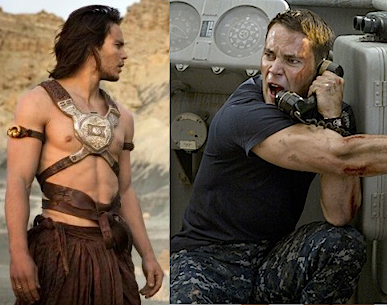 You may have thought Taylor Kitsch‘s career was over after his first big break, Disney’s sci-fi adventure John Carter, went horribly wrong and the studio lost an estimated $200 million dollars. But, your eyes are not deceiving you, that is Kitsch of box-office bummer notoriety in not one but TWO other upcoming blockbusters, Battleship and Savages. 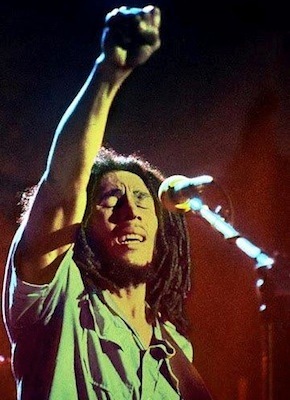 The documentary Marley, focusing on the life of the most famous reggae artist of all time who we lost to cancer in 1981, made an estimated $260,000 at the box office after playing in only 42 theaters following itss release on 4/20. 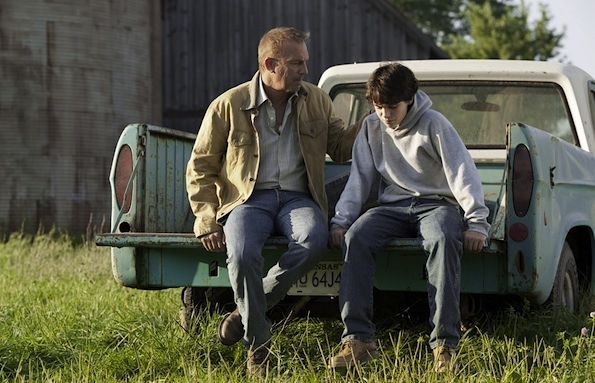 Besides being available for viewings at local indie theaters nationwide, Magnolia Pictures made a smart move targeting youth – availability on Facebook for $6.99 (a portion of proceeds go to Save The Children) and streaming/on demand platforms. Jennifer Lawrence and her bow and arrow came in third on the all-time box office opening weekend records, beating out all three Twilight movies and every Harry Potter movie besides the final one, Harry Potter and the Deathly Hallows Part 2. 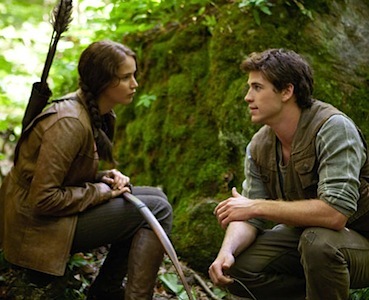 The Hunger Games raked in $155 million dollars and is the only non-sequel in the top ten besides Tim Burton’s Alice In Wonderland. I still haven’t seen the movie because I didn’t read the books yet. Also, as a chili-loving ‘Merican I was disappointed when I found out that it wasn’t about an elaborate eating competition, or cannibalism. Is it about cannibalism? If so, I’ll go, but only if Elizabeth Banks and Woody Harrelson eat Liam Hemsworth. 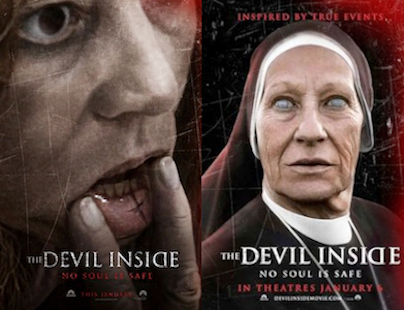 I was going to see The Devil Inside on Saturday but then I realized that I’ve seen it before. There’s The Last Exorcism, Paranormal Activity, The Rite, Stigmata, The Exorcism of Emily Rose and their grandparent, The Exorcist, to name a few. I’m not sure what I expect to happen in these movies, but it’s never what actually does happen. The endings are unsatisfying and make little sense, the acting is usually subpar, and someone’s legs and arms always creak in a way that makes me wanna hand them some Lubriderm in an oil can. The Twilight Saga: Breaking Dawn Part 1 propelled to the third-highest opening day of all time just behind Harry Potter and The Deathly Hallows Part 2 and the second installment of Twilight, New Moon. No surprises, whatsoever. Oddly, none of the Twilight films rank very high on the list of all-time highest grossing movies of all time, not like Avatar or The Dark Knight. Guess the Twi-hard momentum isn’t as strong as Jacob’s stomach or whatever. 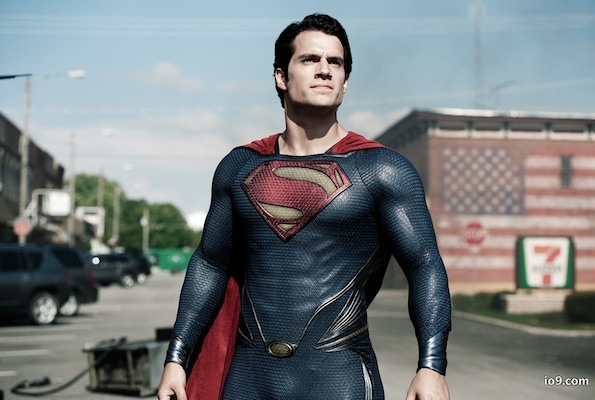 I still wonder what movie of 2012 will make the most moolah? The Hunger Games? The Dark Knight Rises? The Avengers? Then there’s Prometheus, Snow White And The Huntsman, Men In Black III, American Reunion and Breaking Dawn Part II. Could be close. 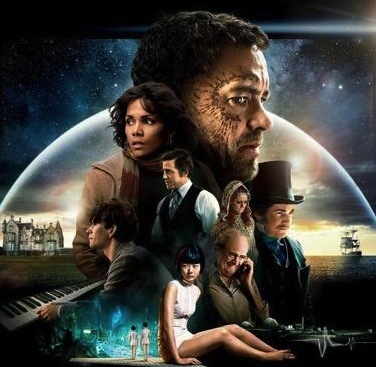 After numerous blogs and years after the rebirth of 3D, people have been saying that it is “on the decline,” though there’s one movie this week that begs to differ. James Cameron proved with Avatar, that if done right, the technology can bring in buckets of cash and asses in their respective red seats. Alas, that was back in 2009, and again people called 3D a thing of the past, pointing critically at the box office while quoting statistics. The kitschy Swamp Thing ripoff, Creature rolled into theaters last Friday in 1,507 theaters around America and earned only about $331,000 over a three-day period. Creature nearly did the worst at the box office EVER considering how many theaters it was shown at. The average amount of screenings for a movie is around 2,500, but that hardly makes up for the lack of attendees. The only movie to beat out Creature for worst opener per-theater was Proud American, a political drama from 2008. Even with it’s low-budget and f-list cast, the movie will go down as a cult B-movie that is a prime example of a film that needed to go straight-to-DVD. The Help is a racial-charged look at African-American maids in the South’s Jackson, Mississippi in the early 60’s from the point of view of a disheartened outcast of a writer, played by Emma Stone. Originally released as a controversial book by Kathryn Stockett in 2009, it wasn’t long before it was written for the screen and turned into its own controversial movie starring Viola Davis, Jessica Chastain, Allison Janney and a treacherous Bryce Dallas Howard. 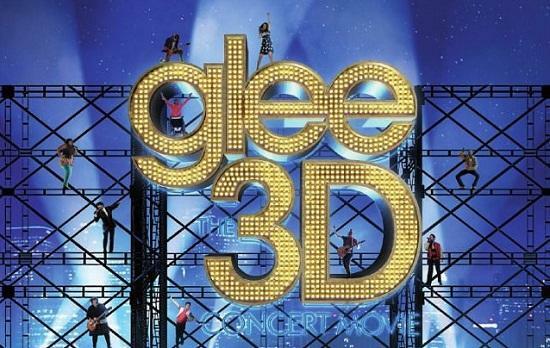 Glee 3D was released on Friday, August 12, 2011 and came inbetween The Change-Up and Horrible Bosses on the Box Office charts at 11th place. For all the promoting they’ve done I’d expect it to at least come in the low end of the top five, sheesh. Glee 3D’s budget was a measly nine million but it only grossed $5.7 million and is expected to recuperate from at least that small amount over the next few weeks.